When we left Arrow earlier this month in the episode “Dark Waters,” Oliver and Felicity had just been attacked by gunmen sent by Damien Darhk. While Oliver managed to drive the limo away before the assassins could finish the job, Felicity was badly injured. Arrow is on hiatus until the latter half of next month, but since then, various previews for the show’s return have implied that Felicity could die. While it’s extremely unlikely this is the endgame of this particular cliffhanger, we do believe that as Season 4 progresses, Felicity will be taken in a new direction that hearkens back to a longtime DC heroine: Oracle. Hear me out. Watching one of the recent trailers, you’ll see hints towards Anarky’s return and a woman who looks like Damien’s wife, but the latter half focuses on Felicity’s condition following the car attack- where she's apparently barely clinging to life. I believe that Felicity will survive, but may be injured to the point that she can’t walk anymore – putting her in the same position as Barbara Gordon before she became his assistant and took on the name Oracle. While tragic, but it won’t affect her ability to help Team Arrow, as her skills as a computer whiz (like Barbara) won’t be changed. While Felicity and Barbara obviously have their differences, this is a roundabout way of adapting a fan favorite for this universe, and it would give Felicity more challenges to overcome as the story moves forward. Most of you know Barbara Gordon as Batgirl, but for over two decades in the comics, she went by the codename Oracle. After being shot in the hip by The Joker in Alan Moore’s classic comic Batman: The Killing Joke, Gordon was left paralyzed from the waist down - but that didn’t stop her from staying in the superhero world. Starting in 1989’s Suicide Squad #23, she became Oracle, a computer science extraordinaire and information broker to the DC Universe’s heroes. This was a title the character held until the New 52 reboot. Although Arrow has incorporated Batman villains (like Anarky, Ra’s al Ghul and Firefly), the Bat-Family’s protagonists have been off limits, which means that Barbara will likely never appear on this series. So instead, the Arrow creative team could take creative liberties by transitioning Felicity into being the show’s version of the paralyzed crimefighter. This wouldn’t be the first time Arrow tried to incorporate Oracle indirectly. Originally, the Season 3 episode “The Secret Origin of Felicity Smoak” was named Oracle, but it was changed shortly before airing. 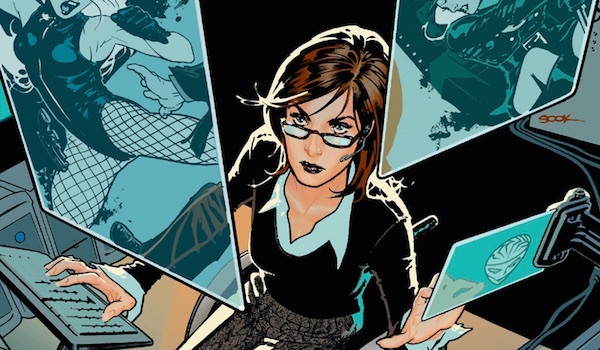 Beyond Felicity dealing with life differently, her new title could also lead to a more official creation of the superhero team Birds of Prey, which were loosely adapted in the Season 2 episode of the same name. After all, the team’s other main members Black Canary and Huntress are Arrow players, and there are other female heroes in this universe who could be incorporated into this version of the group, and Felicity as Oracle could help lead the charge. In case you need a refresher on how dire the situation is, here’s the latest preview for the Arrow episodes heading our way when it returns from its hiatus. The show continues to hint that Felicity Smoak will be the one who will die in the near future – particularly by including that shot of Oliver standing by the unknown grave. But there is no way that Felicity will be the individual that Oliver is mourning… at least not because of this situation. All it takes to know this is some math. The flash-forward we saw in the Arrow Season 4 premiere took place six months after the events taking place, and since the show moves at roughly the same pace as the episodes air in real life, that means that Oliver will be standing at that grave sometime in April, or at the earliest, late March. This means Felicity (or whoever the character ends up being) is not going to die right when the show returns. However, that doesn’t mean she’ll escape from this ordeal unscathed. Seriously, it would be unusual for her to walk away from something like that and not be damaged, be it physical or mental. Instead, we think that the show is turning her into the DC TV universe’s version of Oracle. We won’t find out who flash-forward Oliver was mourning anytime in the near future, and honestly, it may end up being Felicity after all. That said, regarding this particular situation, Felicity is going to come out of this attack changed, and if we’re right, Oracle is the next stage in her continuing character progression. We’ll learn what ends up happening with Felicity when Arrow returns with new episodes on Wednesday, January 20 at 8 p.m. EST on The CW.